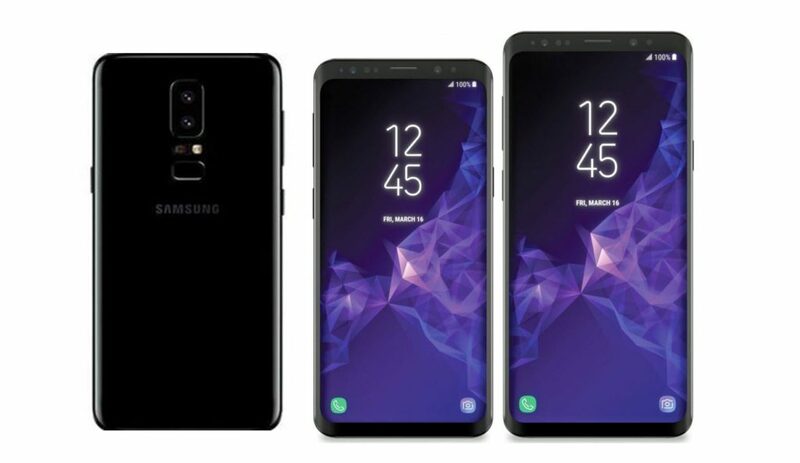 Samsung Galaxy S9 and Galaxy S9+, the company’s next flagship smartphones coming soonin the ‘Galaxy S’ series have finally surfaced in press image ahead of official announcement at the MWC in Barcelona next month of February in 2018, thanks to @evleaks on tweet. 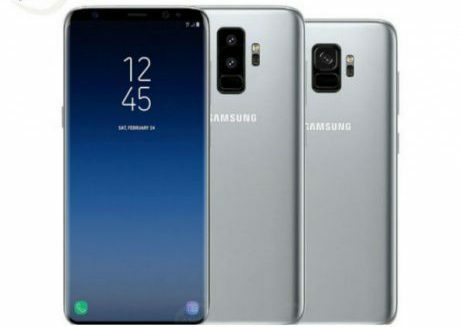 Only the front part of the smartphones first leaks images have been revealed, which look similar to the S8 series with Infinity display, minimal bezels full- screen and a bunch of sensors on the top show dual front-facing cameras. 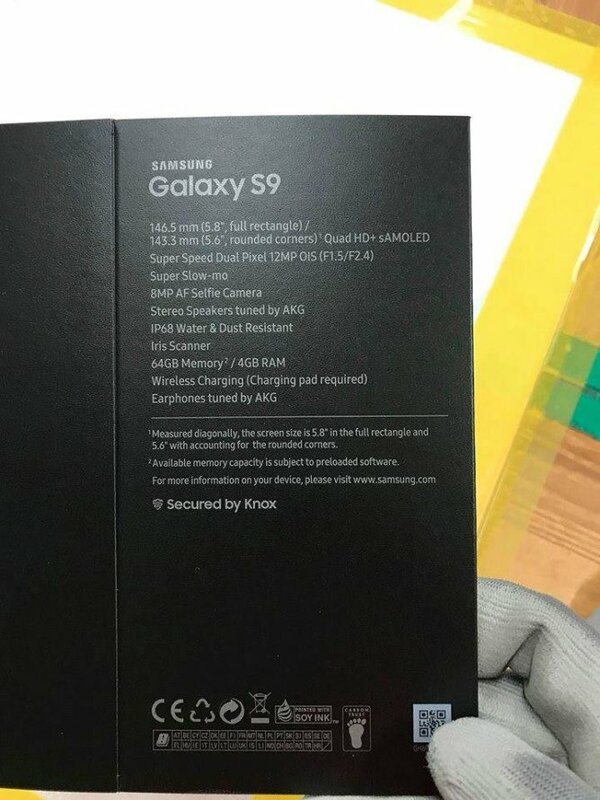 Samsung Galaxy S9 retail box leaks – f/1.5 aperture camera, stereo speakers and leaked full specifications revealed of new Galaxy S9 and S9+ upcoming phones 2018 retail box of the Galaxy S9 has allegedly surfaced online. The Galaxy S9 and S9 Plus will launch in February at the MWC 2018 event confirmed. As rumored, the Galaxy S9 will sport a 5.8-inches curved-edge Super AMOLED Infinity display and S9+ – 6.2-inch Quad HD+ (2960 × 1440 pixels) Super AMOLED Infinity display with Corning Gorilla Glass 5 protection. The retail box shows key camera specifics including a super-speed Dual-Pixel 12-megapixel camera with OIS, an F1.5/2.4 variable aperture camera. 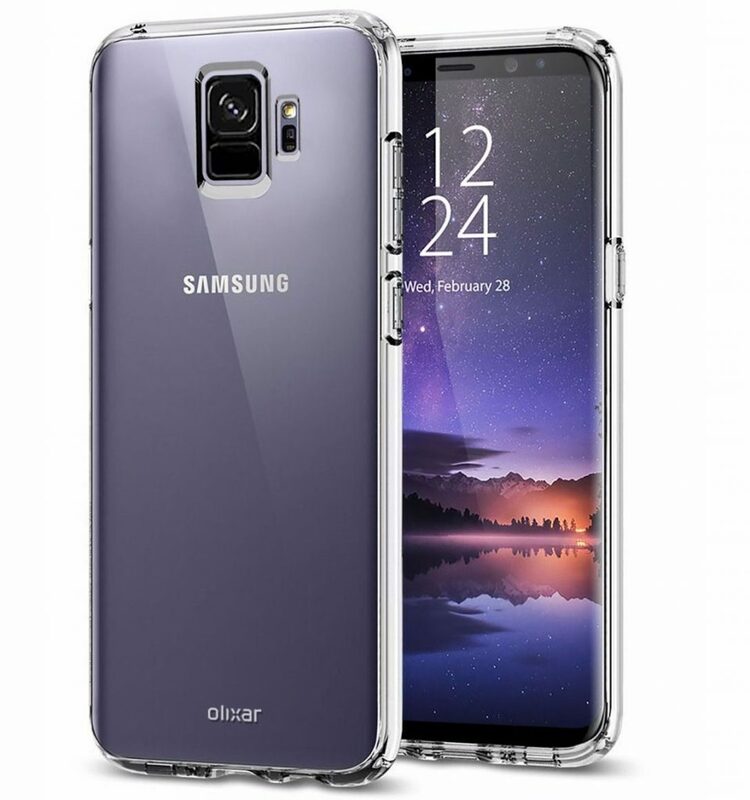 According to a leak via Evleaks, pre-orders of the Galaxy S9 upcoming phones 2018 will begin just days later on 1 March, and the handset is tipped to start shipping two weeks later on 16 March. There’s no word yet on pricing for the Galaxy S9 and S9 Plus. If anything like the Galaxy S8, expect handsets to fetch around £689 and £779 SIM-free. The Samsung Galaxy S9 Unpacked 2018 will launch at 6 p.m. CET (10:30 PM IST) in Barcelona on February 25, 2018. The Galaxy S9 and S9 Plus phones are expected to go on sale on March 16 as mentioned on the press shots and it’s expected price in USA Under $800.